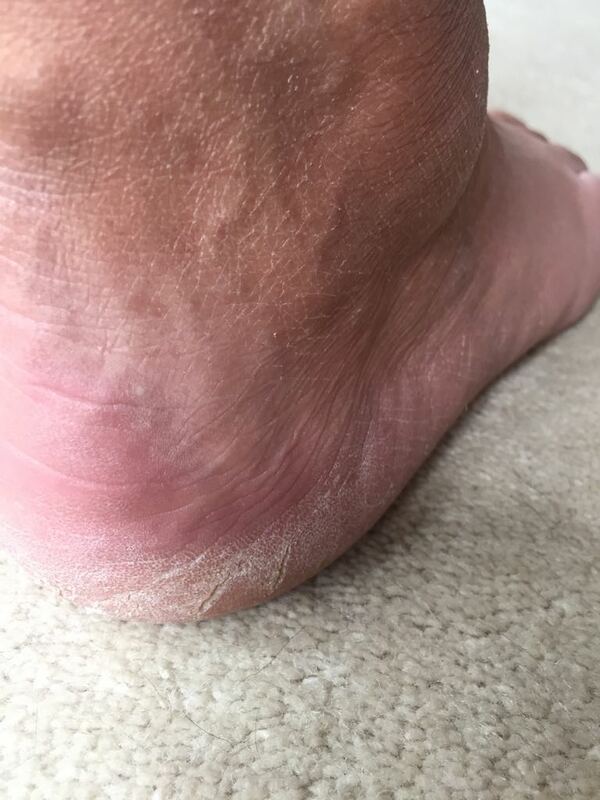 Home > Educate > Skin care > Why is the skin on our feet different? 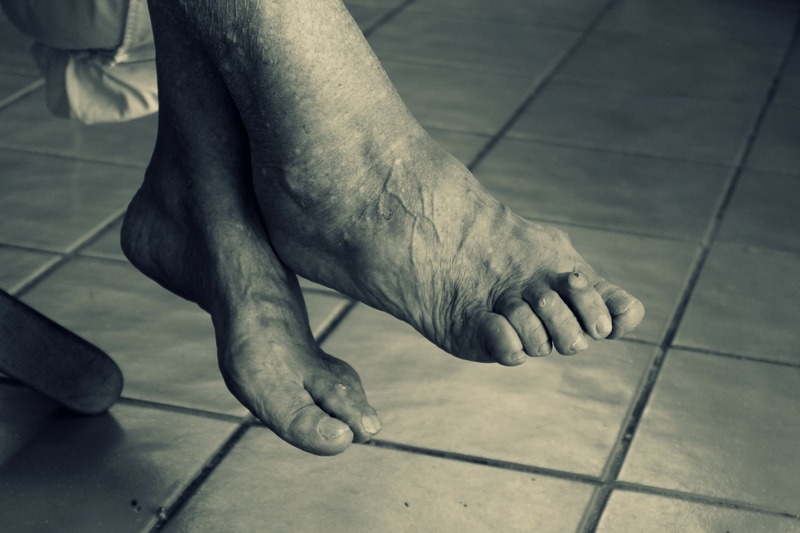 The skin on the soles of your feet is much thicker than elsewhere on your body and the cells divide more frequently in response to pressure and friction. This allows the skin to thicken and create a protective barrier. 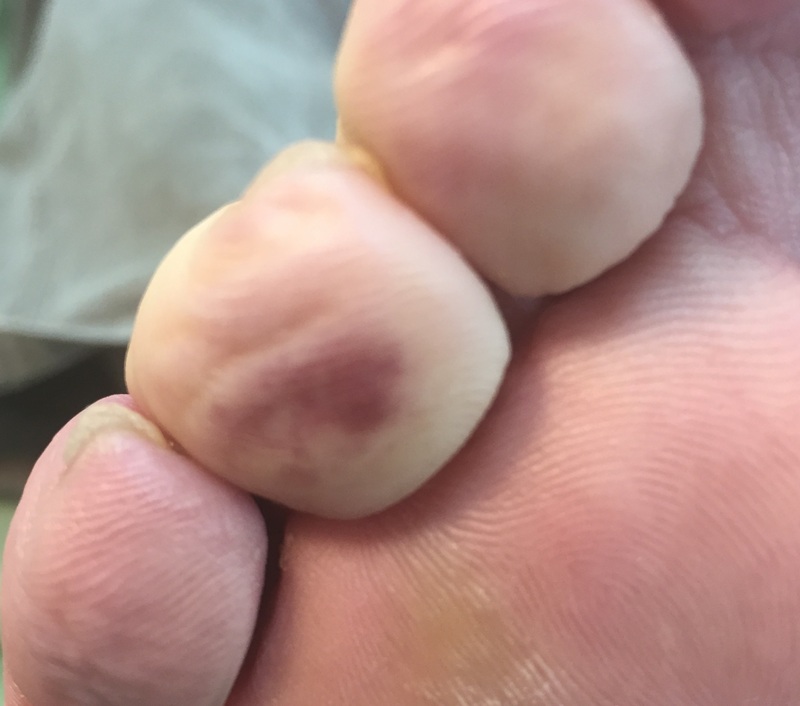 However too much pressure or friction can trigger excessive thickening, resulting in the build up of problematic hard skin or callus. Read more • here •. There are no hairs on the soles of your feet; this means there are no sebaceous glands (oil secreting glands) as these are found in hair follicles. However our feet have a much higher concentration of sweat glands than anywhere else on the body – on average 125,000 on each foot. 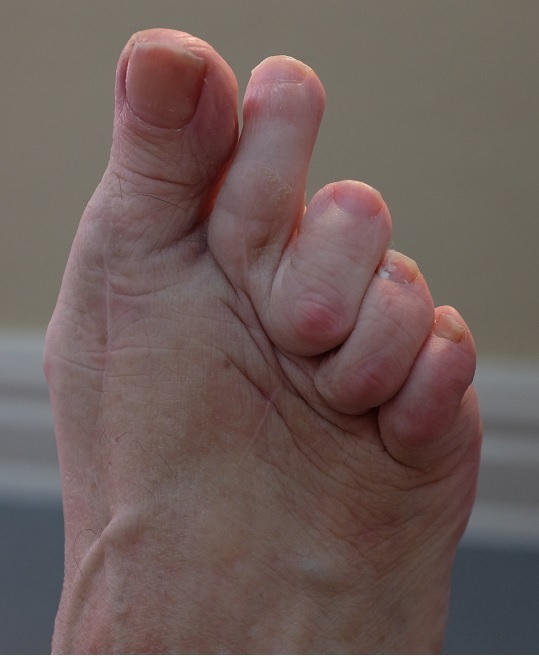 The soles of the feet are also extremely sensitive to touch due to a high concentration of nerve endings, with as many as 200,000 per foot. This rich network of nerves helps the brain to make subtle adjustments when we walk. The epidermis is the upper part of the skin, which provides protection from the environment. The dermis is the lower part of the skin; it is made mostly of dense irregular connective tissue along with nervous tissue, blood vessels and sweat glands and it provides flexibility and strength. 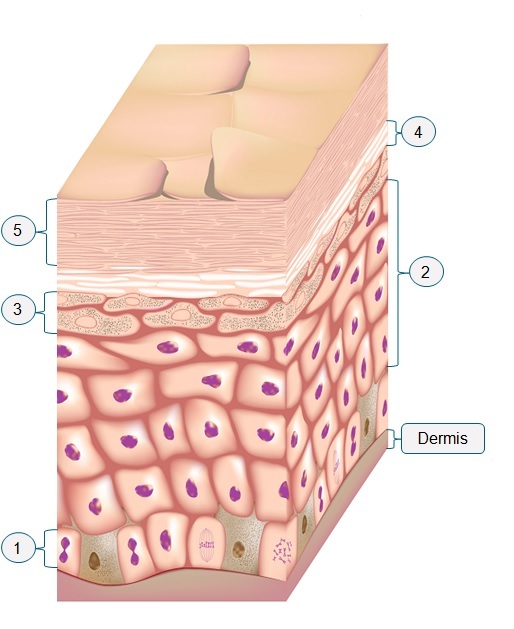 90% of cells in the epidermis are keratinocytes. As these skin cells mature they produce keratin, a tough fibrous protein that protects the skin from damage. The other cells give the skin its colour, absorb harmful UV light and protect against infection. Although cells are continuously shed from the surface of the skin, further down the cells are firmly adhered together with lipids, preventing water loss from the skin. The outermost layer can be compared to a brick wall, with the cells as the bricks and the lipids filling the spaces between like mortar. Your skin gets moisture from the deeper layers of the skin. The water content is also affected by the presence of epidermal lipids and natural moisturising factors. 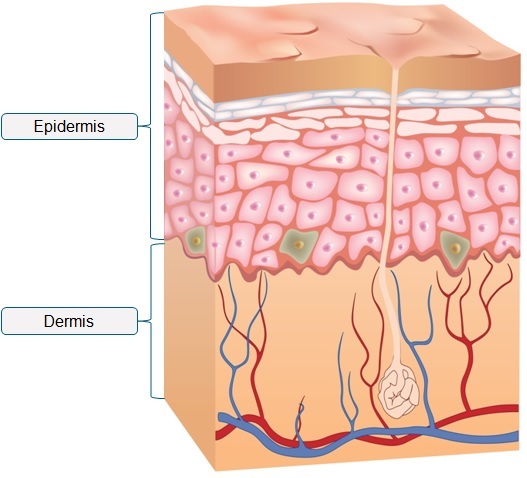 If the levels of these two important substances are decreased, the cells start to shrink and gaps can appear between the cells resulting in dry, rough skin. You can read more about dry skin ♦ here ♦. Dr Anders Nourishing Daily Therapy is immediately absorbed to nourish and restore dry problem skin. It contains a unique blend of rejuvenating coconut, olus and tamanu oils; selected to effectively hydrate and promote healthy, soft and supple skin. Coconut oil is an amazing skin hydrator, it sinks in deeply, conditions, moisturises and softens skin. It is comprised of about 50% lauric acid which is highly effective in protecting against harmful pathogens (bacteria, viruses and fungi). Read more about Nourishing Daily Therapy • here •.